The birth of your child is supposed to a joyous, life-changing moment that you will never forget. Unfortunately, many parents in and around Miami are scarred by traumatizing, stress-filled memories due to the fact that their child suffered a serious injury at birth. Some birth injuries can leave your child with long-term side effects that hinder your child’s future and your financial future. This is why you should speak to an experienced Miami birth injury lawyer to discuss your legal options. Failure to perform the necessary prenatal testing. If you decide to take legal action against the doctor that delivered your baby, an assisting nurse, or other medical professional, you can pursue financial restitution for the medical bills you incurred and will incur in the future (which may be extensive, depending on the injuries your baby suffered). You can also pursue damages for lost earning capacity, mental anguish, emotional distress, and other damages. You have a limited amount of time to take legal action and file a medical malpractice suit against the doctor or hospital. A birth injury malpractice lawsuit generally needs to be filed in a Florida civil court within two years of the time of your child’s injury. However, it is important to contact an attorney sooner rather than later to discuss the validity of your case. Why? 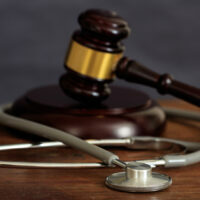 Because the Florida legislature has passed a number of laws that make it much more difficult to file a medical malpractice lawsuit in state court. A detailed investigation of what exactly happened and what could have been done to prevent it, is required. Therefore, your attorney will need time to review the relevant records and consult with a medical professional to assess the viability of your claim. The Miami medical malpractice attorneys at the office of Alan Goldfarb, P.A. are ready to assist you and your child if they suffered a serious injury at birth. This is probably a difficult time for you. You have questions and concerns about what to do next and how your child will receive the care they need. We understand and can provide important legal advice. Contact our office today to schedule a free, confidential consultation.